Have you heard of the keyword research tool Google Keyword Planner? That is Google`s own keyword research tool. 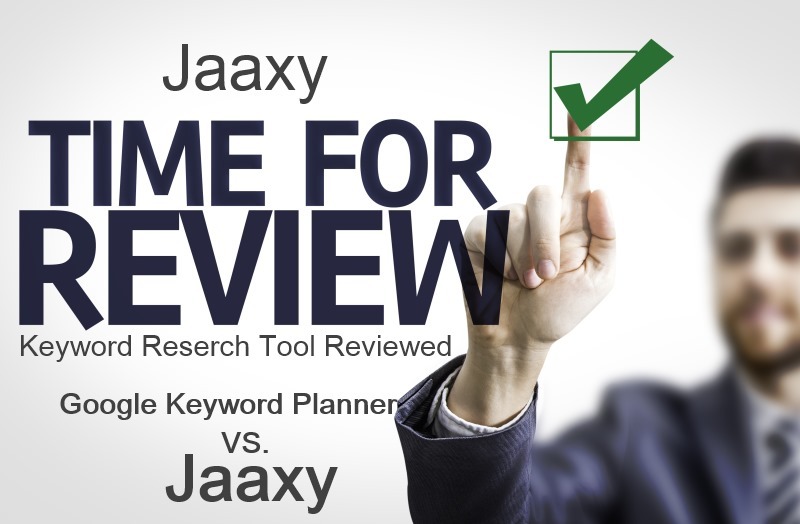 Well, Jaaxy is the Google Keyword Planner on steroids. Jaaxy provides traffic and competition results within seconds. It even gives you an indication whether you should try and rank for the keyword or not, right there and then. 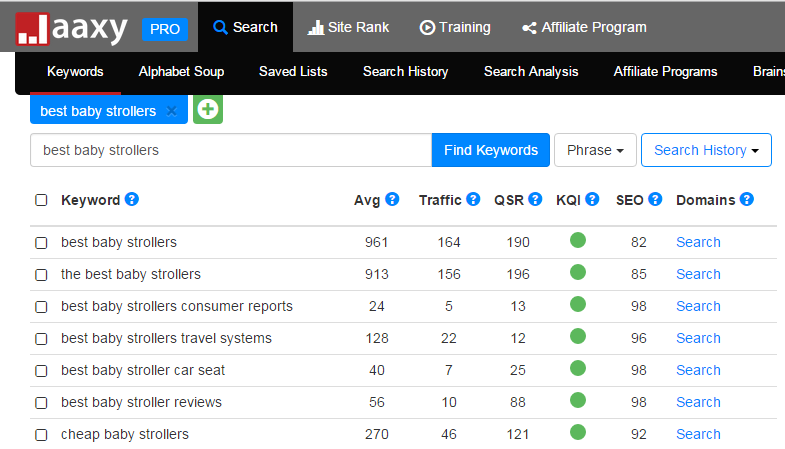 This keyword researcher tool will save you time and allow you to find the best keywords possible. What Can the Jaaxy Keyword Tool Help With? Ranking your website content in search engines like Google using keywords is one of the best ways to get your message out, for free. We want potential visitors to find our content and we use keywords to do that. Using well-researched keywords, with high search volume and low competition can skyrocket your business. 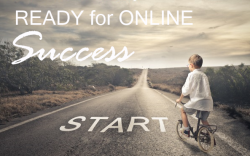 Using poor keywords resulting in few rankings will not drive the traffic that you need to build a successful business. Jaaxy help you easily weed out the Keywords with too much competition, so that you can focus on keywords that are easier to rank for. 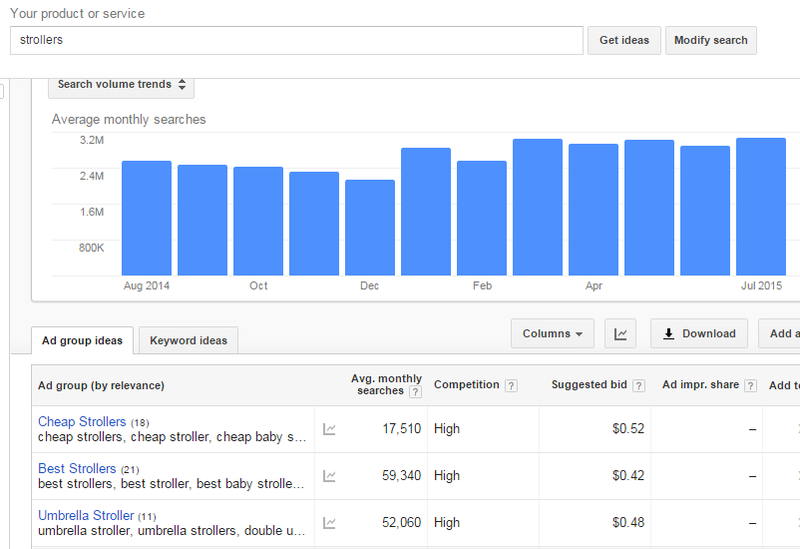 So within seconds, I can tell that the keyword ”strollers” will be difficult to rank for due to the competition. 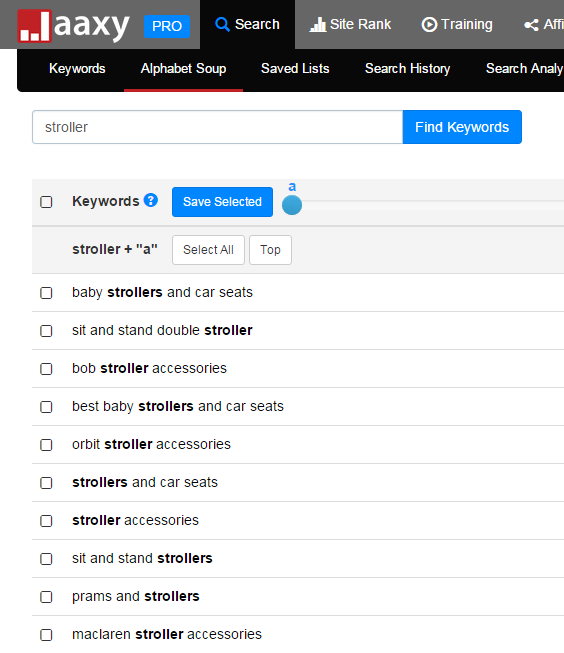 The keywords ”baby strollers and car seats”, ”best baby strollers” and ”cheap baby strollers” are good keywords though. They have some traffic, pretty low competition, and a green keyword indicator light. Fast and easy, I found 3 keywords to work with. The Google keyword tool will give me more keywords, with high searches which are good but to be honest I don`t find much about competition. Competition ”high” doesn`t tell me much. I will have to dig deeper into these keywords, it will take time. Also to get a more accurate idea of the competition I have to use Google and the quote method. Meaning type in each keyword into Google in quotes to get an accurate result. I prefer to use Jaaxy and here are a few reasons why. Saves you time – No need to flip through different keyword tools, Google, and other resources to get the accurate information. Here you will get all needed keyword data needed. Easy to find keywords – Jaaxy makes it easy for you to find profitable keywords for your website within seconds. Easy interface – Jaaxy has an easy interface to work with. Doesn`t matter if keyword research is new for you or if you have been doing this for years, Jaaxy will give you an easy overview of each keyword. You will directly see what keywords to work with and which ones to stay away from. No fluff – the info you need is there, no more no less. This makes it easy for you to take in the needed keyword information. New content ideas – Get tons of new keyword ideas by using the alphabet soup feature. Online – No need to download or install anything when using Jaaxy, it`s all done online. This also means no updates for you to deal with. In the past I used another keyword tool, it was a great one, but I needed to download it to my computer and there was constant updates that were a big pain in the… to do. It wasted a lot of my time and often times the updates never worked, this is not an issue with Jaaxy. Try Jaaxy for FREE here! I got some more ”green light” keywords to work with. This is a great tool to get more ideas for your website. It will walk you through the alphabet and give you new ideas on each letter. In this case, I typed in “stroller” and it gave me some new ideas to research. This feature gives you tons of ideas highly relevant to your main keyword. Another great feature is that you can save your keyword lists directly in Jaaxy. It will tell you the number of keywords, traffic and when saved. You can also export the list to a CSV or TXT file. Forget what you have researched already, use the search history tab to see your old keyword searches. 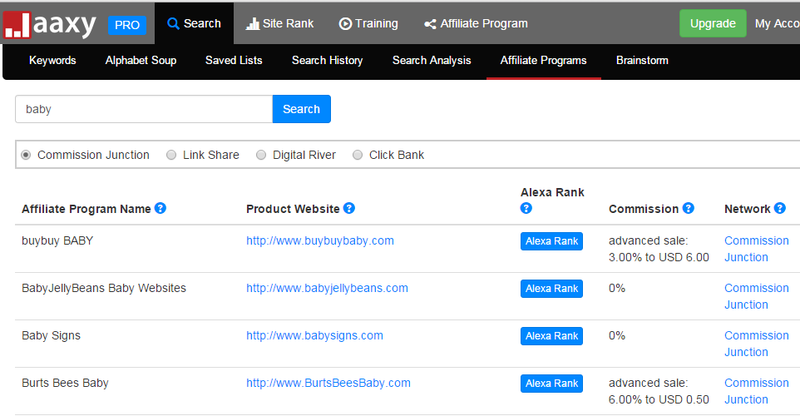 Jaaxy checks related affiliate programs in Commission Junction, LinkShare, Digital River and ClickBank. This makes it easy to find relevant products to promote on your site. Within seconds you can check the search results for Google, Bing, and Yahoo. The first 8 results will show. Just type in the wanted keyword and see the present listings for that specific keyword. This makes it easy to check your own rankings as well. They do have keyword research training. 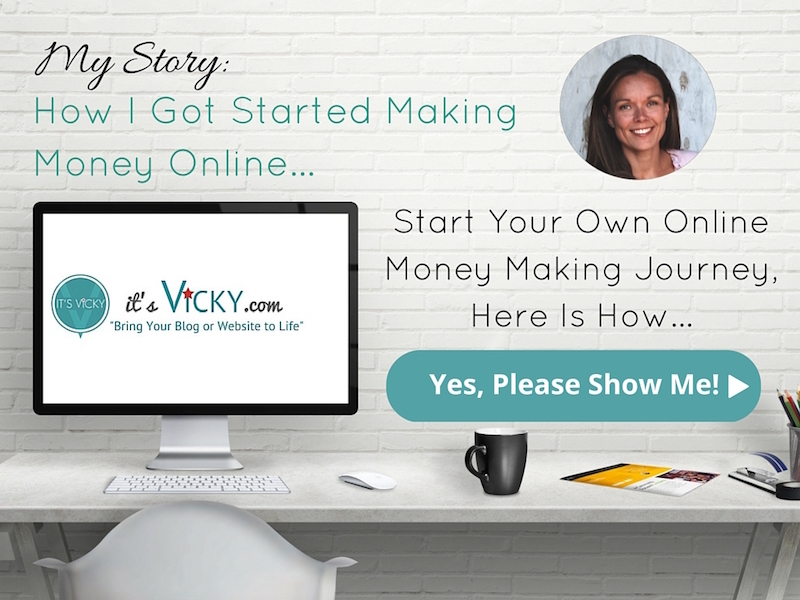 Through videos, you can learn how to use the Jaaxy keyword tool to get the most out of it. They also offer 3 Bonuses that can be downloaded. As far as support goes they don`t have any live support, but you can contact them with questions through their contact form, here. No, not at all. In fact, you don`t have to pay a dime to try it out. You can do 30 FREE searches with Jaaxy. Yes, try it for free. If you are happy with the tool then you can choose to go premium. Premium from $19 / month. If you didn`t enjoy it no harm, you just move on without losing anything. So if you are ready for your FREE Jaaxy Trial go fill this form out. I hope you enjoyed this Jaaxy review 2016 edition. Have you tried Jaaxy? Have another favorite keyword researching tool? Let me know what you think. Feel free to chime in with a comment.